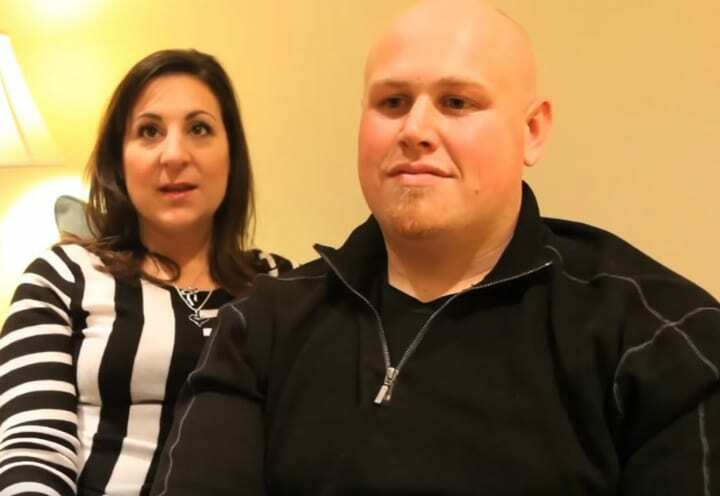 Chris Hughes and Mariesa Caliguire couldn’t believe their eyes when they looked at the ultrasound. They rubbed their eyes to give a second look at the monitor while the vet was talking. 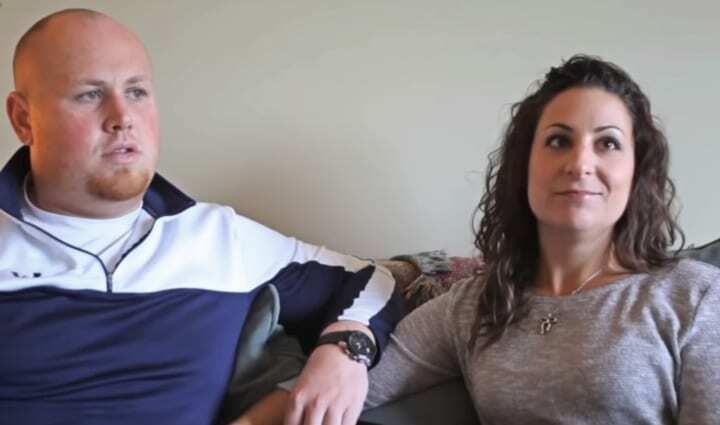 It all started when the couple set foot in Cuyahoga County Kennel one morning. 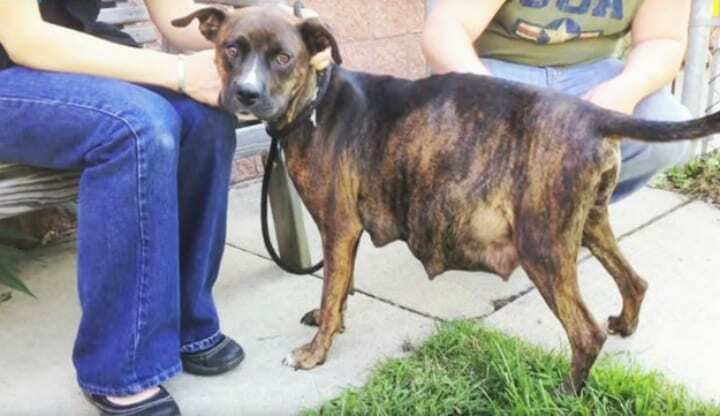 A pregnant pit bull caught the attention of Mariesa, and she couldn’t bring herself to leave without her, despite Chris and Mariesa having their hands full with eight furry children of their own at home. Adopting and fostering animals wasn’t something foreign to the dog-loving pair and they wanted to save one more, but nothing could have prepared them for what was to unfold as soon as they took Storie the pit bull under their wing. Read on to find out what exactly the ultrasound would reveal. 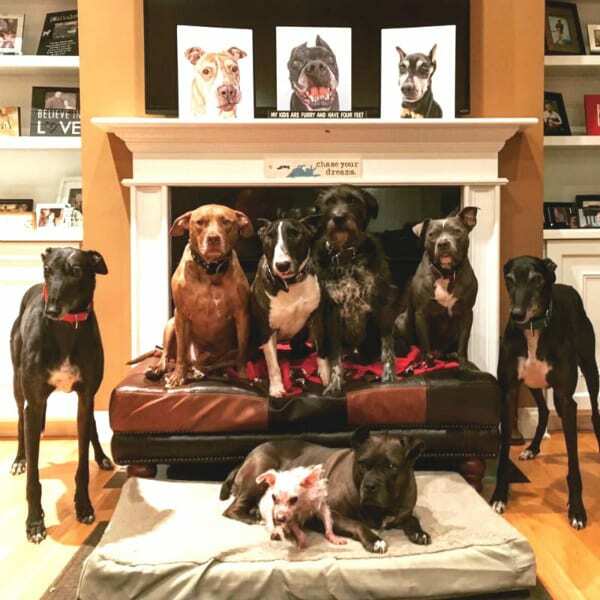 Chris had rescued six dogs from shelters before he met Mariesa, while she had adopted two Greyhounds from the time she was a foster, so it was a no-brainer that they would move in together along with their pooches. 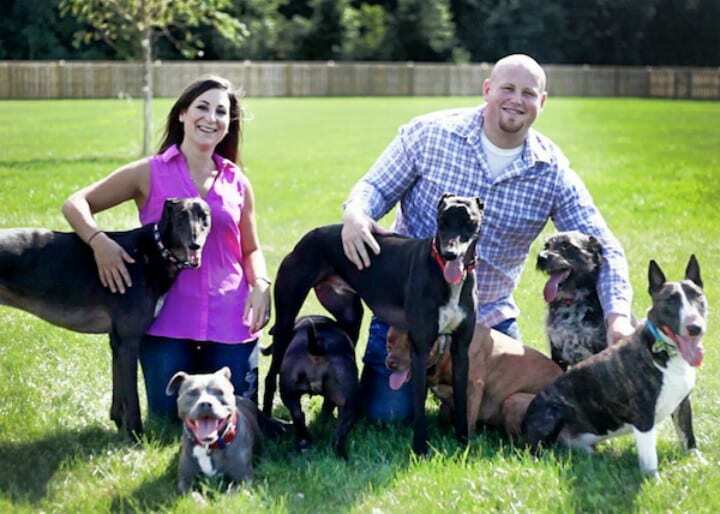 By running an eight-dog household, Chris and Mariesa thought they could handle yet another canine commitment, but little did they know that no amount of practice could have prepared them for the day they set foot in Cuyahoga County Kennel. 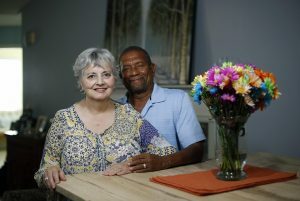 Soon after Chris and Mariesa met and moved in together, they started their very own YouTube channel “Life in the Dog House” as part of the HooplaHa Network. 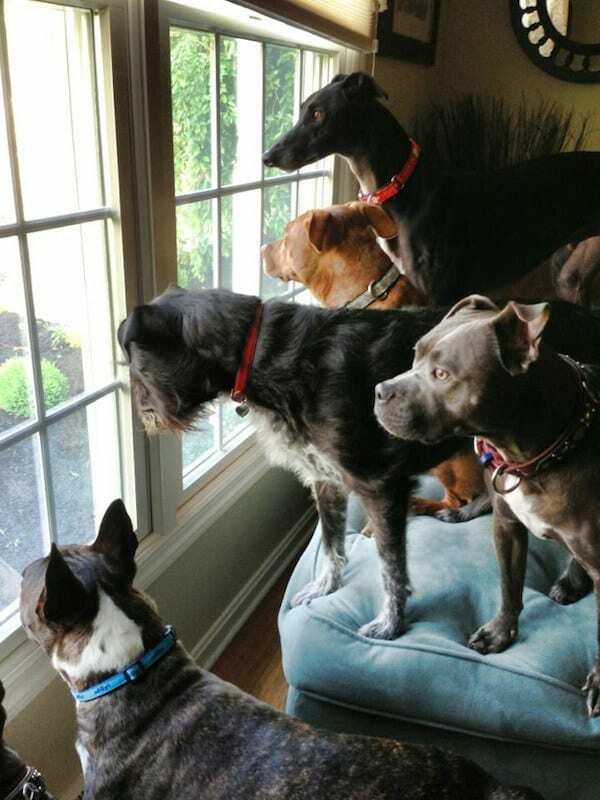 Many people asked them how they manage to live with eight dogs under one roof, as well as how they afford the vet bills, so this was their way of answering all the naysayers. The first episode premiered on September 18, 2013 with Chris and Mariesa introducing each dog and his or her own rescue and backstory. The episode showcased how well all the dogs get on, besides for some occasional toy issues when one has a toy that another dog wants, but it was actually episode two that caught everyone’s attention. 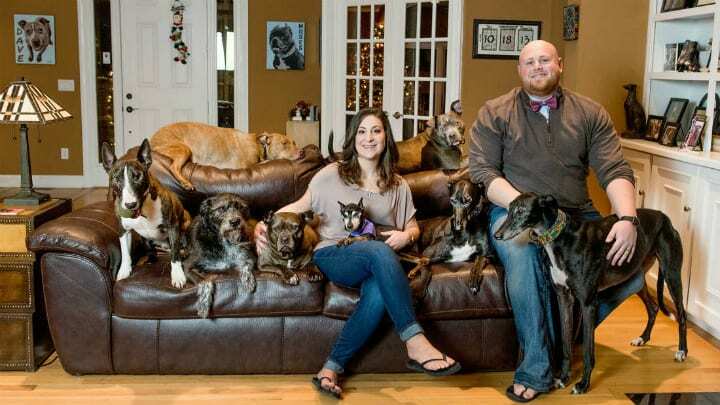 Raising eight dogs, both in their junior and senior years, is no easy feat, but Chris and Mariesa felt like they had room in their heart for more. While adoption wasn’t really in the cards at this point, they were still looking to help more dogs in need of foster care. In fact, one of the reasons they established their YouTube channel, besides to make viewers smile, was to raise proceeds for shelters so they can afford to pay for rescue animals’ vet bills. However, Chris and Mariesa also hoped to raise awareness about a rescue shelter, a shelter that had formed a very special place in their hearts. 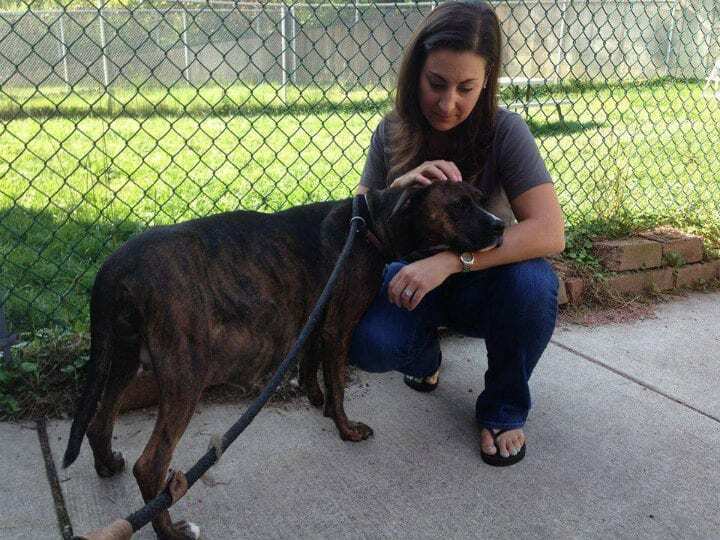 In September 2013, Chris and Mariesa decided to visit Cuyahoga County Kennel in Valley View, Ohio. The shelter had a reputation for rescuing lots of pit bulls. 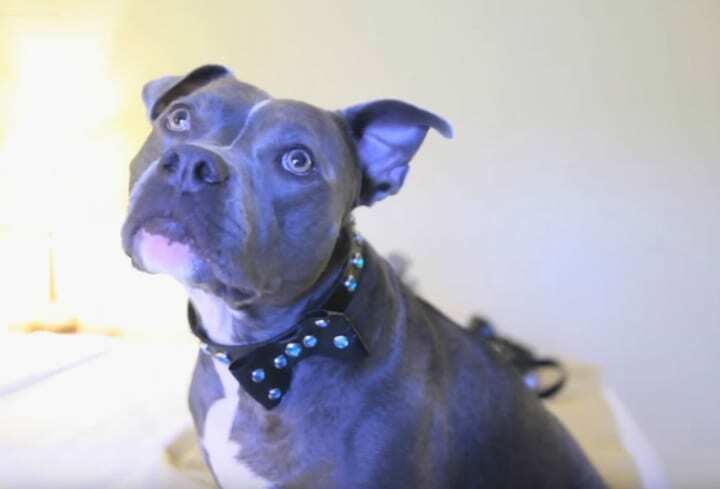 For anyone with a bit of knowledge about dog breeds, it is common knowledge that pit bulls are often feared because of their appearance and supposed fearsome temperament. In some states, it’s even illegal to own one. 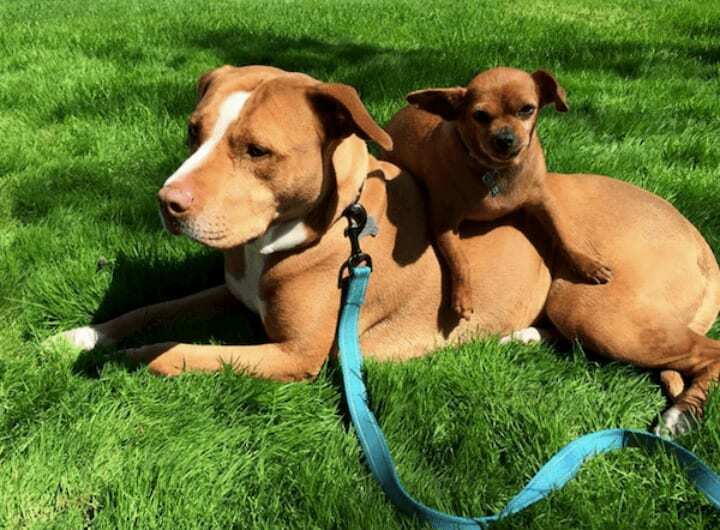 Chis and Mariesa, on the other hand, had fostered and rescued several pit bulls for years. They had nothing but positive encounters with the breed, so they found it very hard to understand why the dogs had gained such a bad reputation. For this reason, the couple felt a duty to help this breed in any way they could. However, nothing could have prepared them for what they witnessed at the kennel. 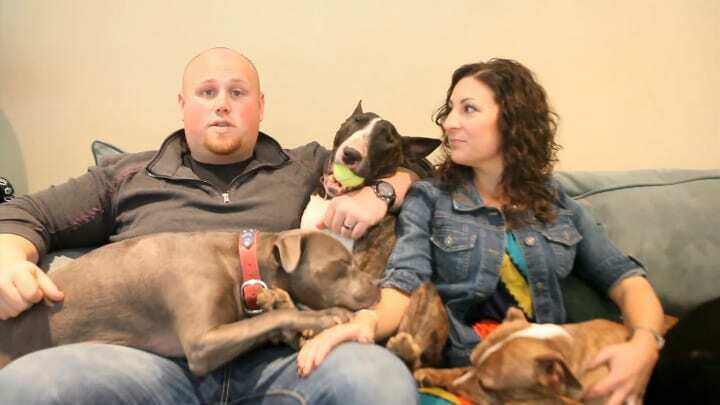 The couple’s love grew every day as they shared their love for rescued dogs, so instead of spending the day hand-in-hand at the movies or at the mall, Chris and Mariesa made their way to the shelter. “It gives our relationship so much more depth and meaning, and to share with someone something you’re so passionate about and have them accept it and thrive on it, is so rare and incredible. So we need dogs,” Mariesa told Honest to Paws. As soon as they walked into Cuyahoga County Kennel, they were greeted by so many wagging tails and happy faces, but there was one female dog that caught the attention of Mariesa, and she couldn’t help but focus on just her. Just before they entered the shelter, Mariesa and Chris made a deal that they would only choose one dog to foster, but Mariesa knew in her heart that it was going to be super tough after looking at all of the rescue animals’ innocent and friendly faces. The dog Mariesa had spotted as she walked in swayed over to her. 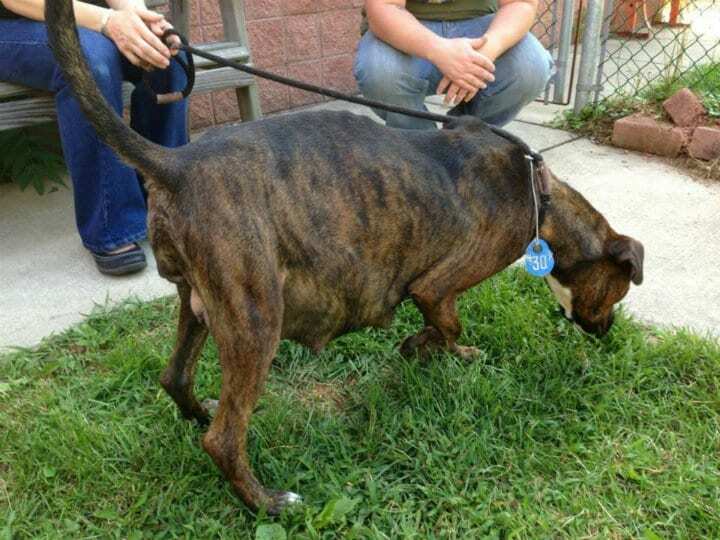 She was a heavily pregnant female pit bull named Storie. Mariesa couldn’t take her eyes of Storie’s tawny hue and beady eyes. It took just one gaze, and Mariesa had to admit defeat. 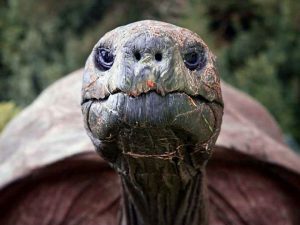 She was smitten, and what the volunteers were about to tell her wasn’t going to change that. Mariesa immediately noticed Storie’s swollen belly. It was very clear to her that she was pregnant, but when the staff at the kennel told the couple the story behind this pit bull, Mariesa’s heart broke and melted at the same time. 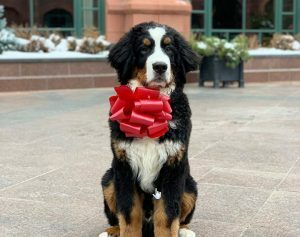 The rescue workers explained that Storie was surrendered by backyard breeders who knew they wouldn’t be able afford to take care of her and her puppies. The volunteers didn’t have to even finish the story, as Chris and Mariesa knew what they had to do. But then it hit them, how were they going to raise Storie and her puppies when they had eight dogs at home? 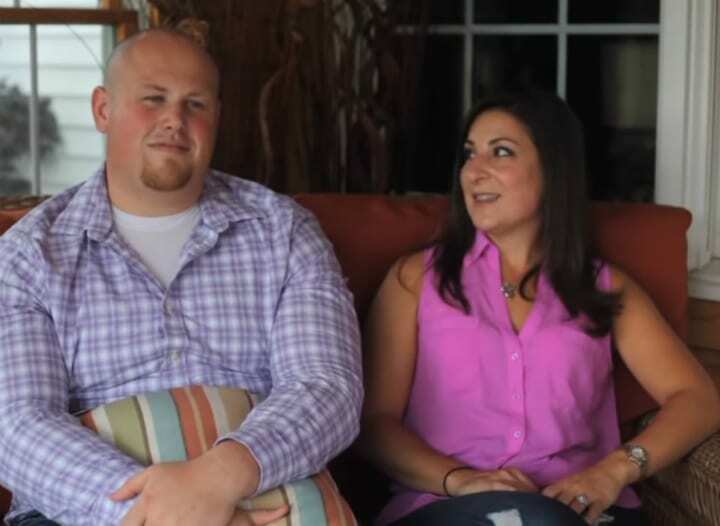 Before they could think further, Chris and Mariesa were faced with a huge decision. 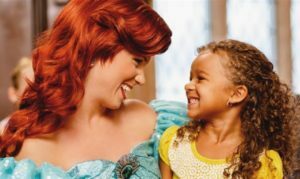 They already felt an incredible bond with Storie, so it wasn’t going to be easy. After all, the plan was to leave with one dog; not a heavily pregnant dog. Chris took a seat on the bench to absorb all this information, while Mariesa sat on the floor with the pit bull, petting her. “I’m trying to think, ‘Is this going to work? 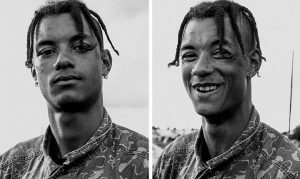 Is there any way we can make this work?’ And [Mariesa] in the meantime was just like, ‘Let’s save the dog, that’s why we’re here,’ Chris recalled when recounting the events on his YouTube video. However, there was one more thing the volunteers at the kennel had to tell the eager couple. The staff at Cuyahoga County Kennel were very confused and slightly concerned about Storie. 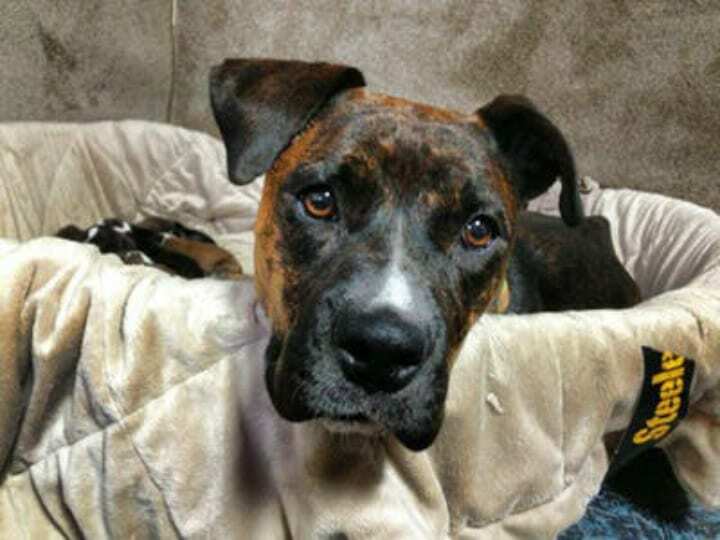 The beautiful brindle pit bull was due to give birth to her puppies a week earlier, but for some reason the little fur babies hadn’t come yet. Storie’s belly was extremely distended so it didn’t make sense to anyone that the time hadn’t come. 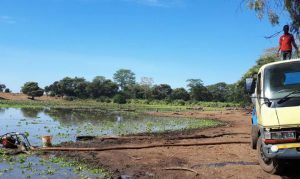 The staff tried to hide their concerns, as they didn’t want to sway Chris and Mariesa’s decision, but the couple had so much experiencing raising dogs that they picked up on it straight away. Were they walking into a trap? Or was this just too much to handle with eight dogs at home? Just as Chris and Mariesa were weighing up their options and trying to be as level-headed as possible, Storie placed her head in Mariesa’s lap and gazed into their eyes. Something wasn’t right and Mariesa could sense it right away. And Storie’s puppy eyes weren’t helping the situation either. Storie was trying to tell them something, and Chris and Mariesa knew it had to be related to the puppies she was due to give birth to any minute, or so they thought. The dog lovers couldn’t leave Storie behind, but they had no idea this behavior was just the tip of the iceberg. Mariesa was well aware of the fact that if they took Storie in they would have to care for her and her six puppies. That would be a whopping 15 dogs in one household! She was also worried this would conflict with her own dogs’ well being, as they would certainly pick up on Storie’s scent and energy even if they kept her in a separate area. Chris was also concerned that they wouldn’t be able to give their undivided attention to their own babies at home. But it was too late. They were now totally invested in the situation. It was time to take Storie home for the time being. Storie was in good hands and safe, but Chris and Mariesa were at a loss for words. They had so many questions. Why hadn’t Storie given birth yet? Did they really know what they were in for? In all the times they had rescued pit bulls, they had never encountered something like this. Something wasn’t adding up for the couple. They started to think the worst, so to put their minds at ease, Chris and Mariesa decided to to some research on the matter. They started scouring the internet for any bit of information they could find. What they soon discovered would spring them into action right away. Just as they thought things couldn’t get any worse, Mariesa stumbled across an article that seemed to hold the answer she was desperately in search of. The article explained that a dog’s life in a shelter often entails a lot of upheaval and uncertainty, and in turn, the dog experiences a lot of anxiety. That was it! This was the problem. It didn’t make them feel any better, but Chris and Mariesa clicked. Storie had obviously endured a lot of trauma and stress in the last few months. Mariesa felt bad for her new foster dog. Storie was in a stressful environment and therefore her body didn’t want to give birth. Chris gave one look at Mariesa, and they leaped in the car. Storie was rushed to the vet. Chris and Mariesa knew very well that if Storie didn’t give birth soon, she could lose her puppies. There was absolutely no time to waste. They needed a vet to help them, and fast. As soon as they arrived at the vet, they felt a sense of relief. 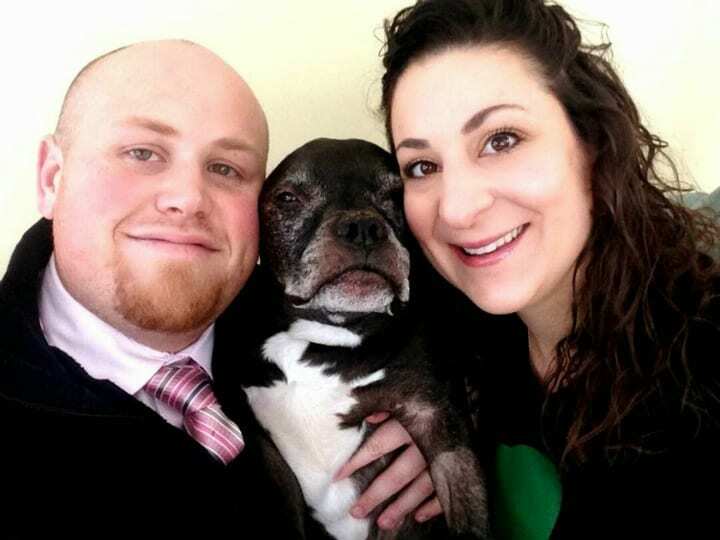 Chris and Mariesa were so grateful that they decided to visit the shelter when they because if it wasn’t for them, Storie could have been stuck at the kennel for months and they didn’t want to imagine what could have happened. But they weren’t out of the woods yet. As soon as the local vet saw Storie and listened to Chris and Mariesa’s theory, she decided to run tests and scans immediately. 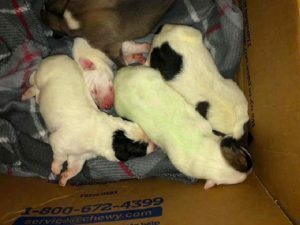 She agreed that there was no time to waste and she had to take an X-ray and ultrasound to check that everything was okay with the puppies. 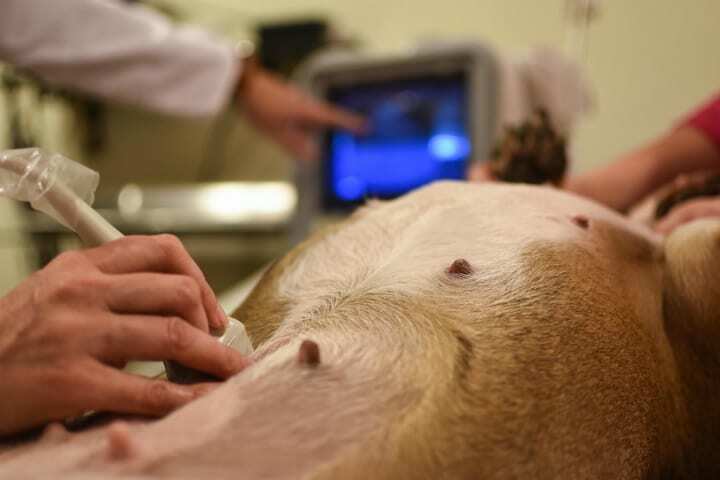 But when the vet took one look at the images from the ultrasound, she gasped. It had to have been a mistake, so she took a second look, but there it was in black and white. What had the vet seen? Chris and Mariesa had to know. The vet turned to the couple with a look that made their hearts skip a beat. The vet took a deep breath and counted the skulls on the scan. “There aren’t six puppies, but twelve!” the vet exclaimed. That’s right, Storie was pregnant with double the amount of puppies the shelter thought she was. Chris and Mariesa just couldn’t believe their eyes and decided to check themselves. Indeed, after tracing their fingers around the shapes on the scan, they too counted a dozen puppies huddled up in Storie’s womb. The couple couldn’t do anything but exchange very worried looks. They had come across many things with their years of experience with four-legged friends, but this was unbelievable. What did this mean for Storie, though? As soon as the scan revealed not six but 12 puppies, Chris and Mariesa started shooting questions at the vet. 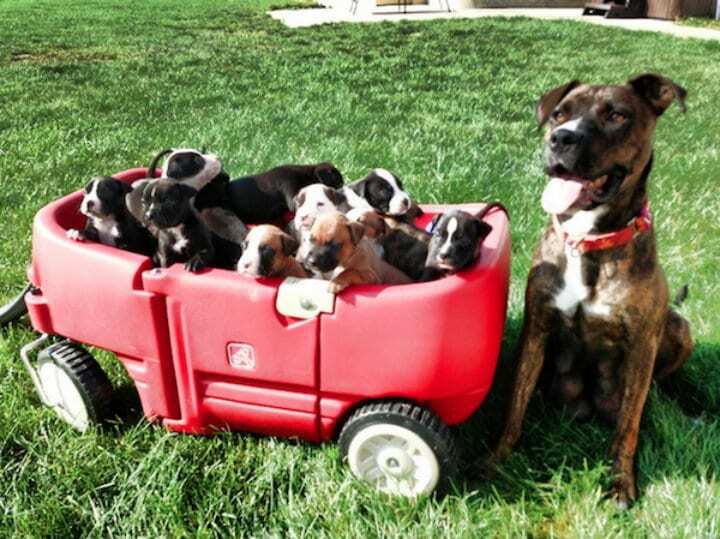 They were extremely worried about their new foster dog and whether her life was in danger by carrying so many puppies under stressful circumstances. However, the vet didn’t really have any answers for them. 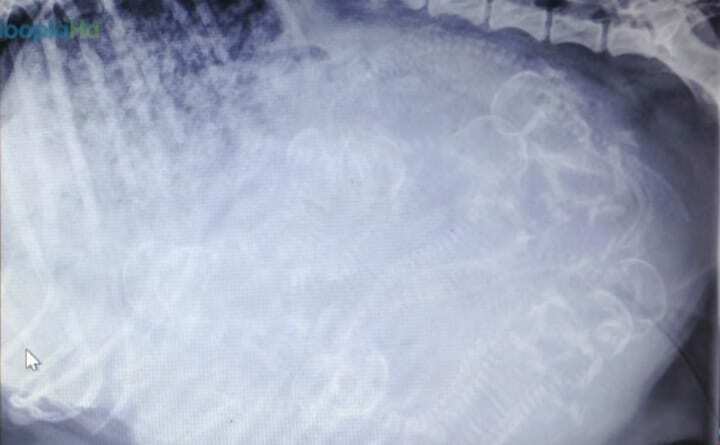 Storie was indeed pregnant with 12 puppies, and she should have given birth already. To set their minds at ease, the vet was happy to report that all 12 of Storie’s offspring seemed to be thriving in the womb. All the vet could do was send the couple home with strict instructions for the next 48 hours. The vet told Chris and Mariesa to wait it out and to call her without delay if Storie the pit bull had still not given birth within 48 hours. Little did the vet nor the couple know the reason Storie was holding out for so long, but they would soon find out. Mariesa was really concerned that Storie wouldn’t give birth within two days. It could be super dangerous for the puppies and for Storie herself, but all they could do was make things as comfortable for Storie as possible. 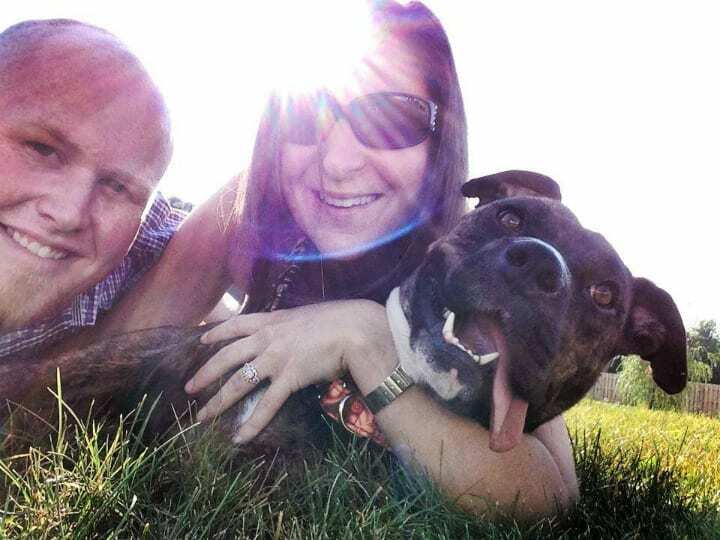 Luckily for the pit bull, she couldn’t have been fostered by a better home. She was so heart sore for Storie, but Mariesa had the perfect idea. She transformed the kennel outside into a the perfect bed for Storie filled with soft pillows and blankets for warmth. Chris wanted to minimize Storie’s stress but providing her with her own space. Storie needed to feel safe and secure. That’s when Mariesa came to the conclusion that made her feel better. Seeing that Storie had held out for so long already, she wanted to use this time to get to know her before the puppies arrived. After a long and emotional day, Chris and Mariesa went to bed. It was then that the most incredible thing happened. 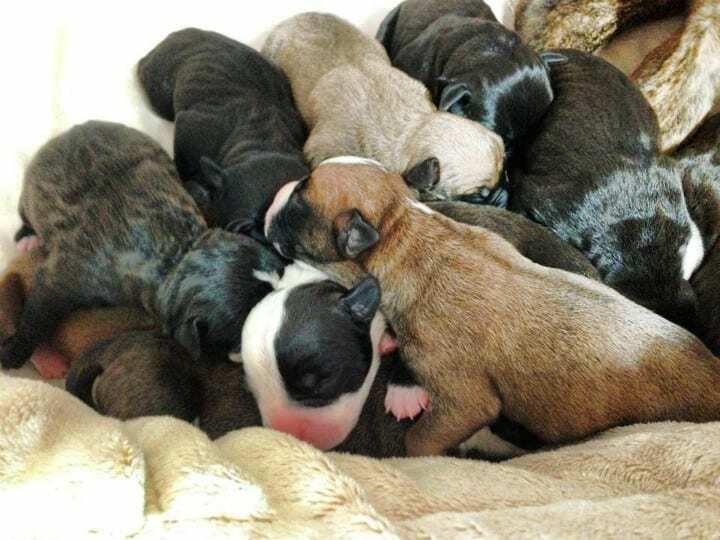 Only 18 hours after they had saved Storie from the shelter, she gave birth to all 12 healthy puppies. She went into labor as soon as her saviors went to sleep and had her babies the next day. Turns out Storie was just bursting to give birth, but only once she felt like she was in safe environment, could she do so. 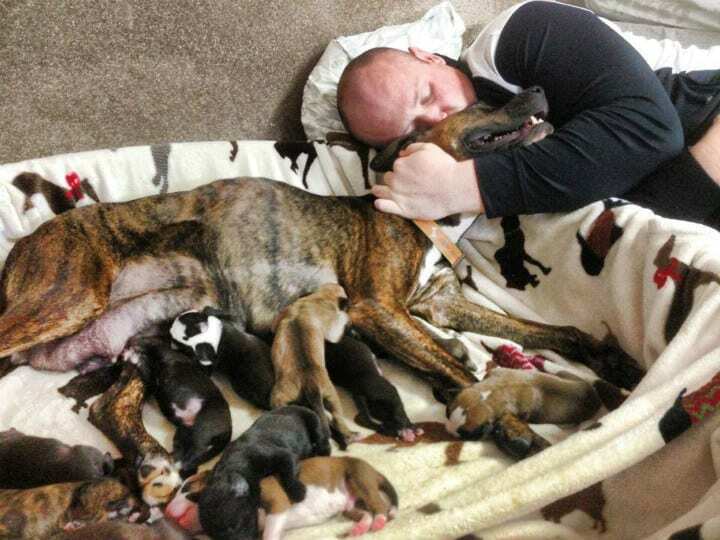 When Chris and Mariesa woke up the next morning they were greeted by a beautiful sight: Storie was nursing her 12 big and healthy puppies in the bed they had made for her the night before. They were elated! They weighed each one and cared for them as well as Storie. But what would happen to them? It was like Storie was waiting to feel comfortable and relaxed before she gave birth. “Dogs having puppies at shelters, it’s not the best thing for them. It’s stressful for her, stressful for the puppies,” Chris later said on his channel. Only two weeks later, the puppies opened their eyes. Mariesa also described how their little “cauliflower ears” also opened up and soon enough, the little fur balls were running around barking and playing. Taking care of 12 puppies and 21 dogs under one roof was not easy, but Chris and Mariesa were loving every minute of it. But were they going to keep Storie and her 12 poochies? Storie had become a great mother, caring for her puppies while they gallivanted around in the garden all day long. 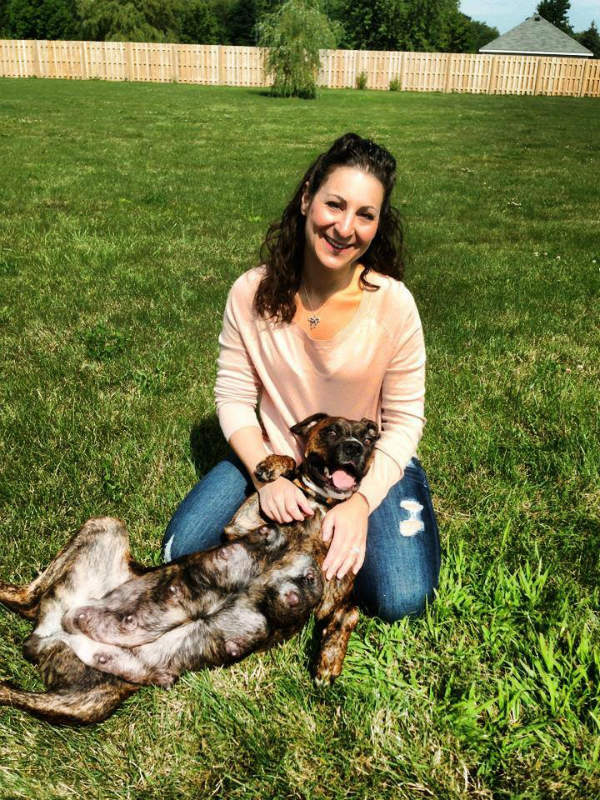 This only inspired Chris and Mariesa to help more dogs like Storie, but it also got them thinking about what they were going to do with the puppies when they were old enough to separate from their mother. They thought about keeping two of the puppies, but that would have meant having 10 dogs at home! 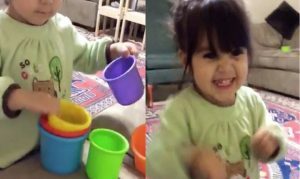 They posted the story on Facebook and uploaded a video about it on their channel on October 9, 2013, and soon enough, the adoption requests came pouring in. Each puppy had found a forever home at 10 weeks old. Chris and Marisa decided not to keep any of them so they could have space at home to foster and rescue more dogs that needed their help. But what about Storie? 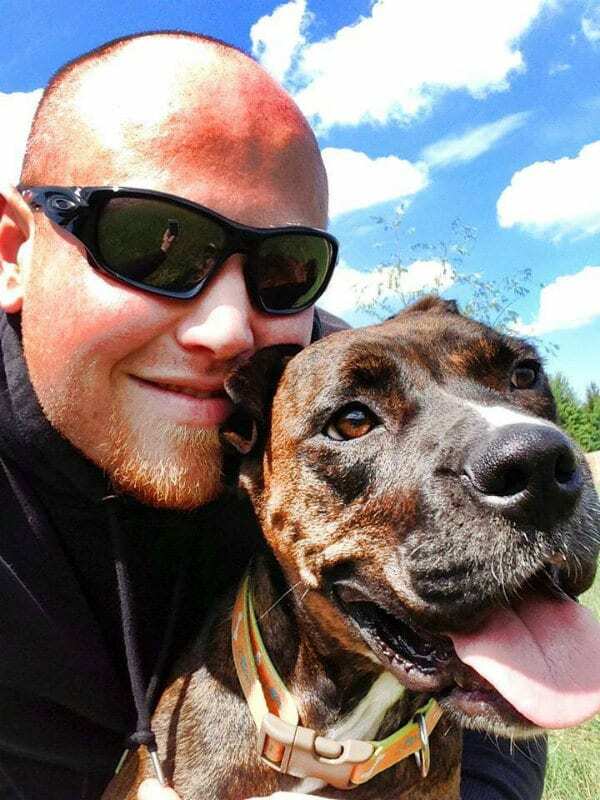 The story went viral and attracted the attention of an experienced pit bull owner Ryan, who just happened to be Chris’s best friend. Ryan adopted Storie and decided to spay her so that she would never have to experience a stressful situation like that again. Now she lives a happy and healthy life in a safe and loving home. Inspired by their furry friends, Chris and Marisa launched a sub channel on “Life in the Dog House” called “Cooking with Mo.” The channel showcased cooking videos of Mariesa cooking with her beloved rescue Moses, and as part of the project, she compiled the Mr. Mo cookbook. 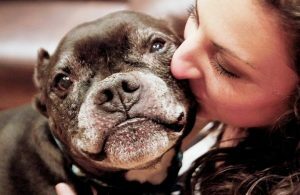 They launched these initiatives as part of Mr. Mo project in 2014 to rescue senior dogs across the U.S. But what about Chris and Mariesa themselves? In 2017, “Life in the Dog House” announced the exciting news. Chris and Mariesa got engaged and the video of the wedding was published on June 9, 2017. Of course, all their eight beloved pups were not there for the day, but they did include two as actually part of the celebration. All their dogs were there from the beginning, so they believed it didn’t make sense to do it without them completely. “I don’t really care what others think about Gremlin being at the wedding because I couldn’t imagine how I even lived without her before I met her. So I wouldn’t be able to do this without her,” Mariesa told her viewers. Gremlin donned a pearl wedding collar, veil, and flower headband, while Stig the dog wore a bow tie encrusted with blue rhinestones. The guests also surprised the dog loving couple with a Gremlin cake, dedicated to their puppy. Sleeping with eight dogs is an experience, and Chris and Mariesa know just how to make the best of it. 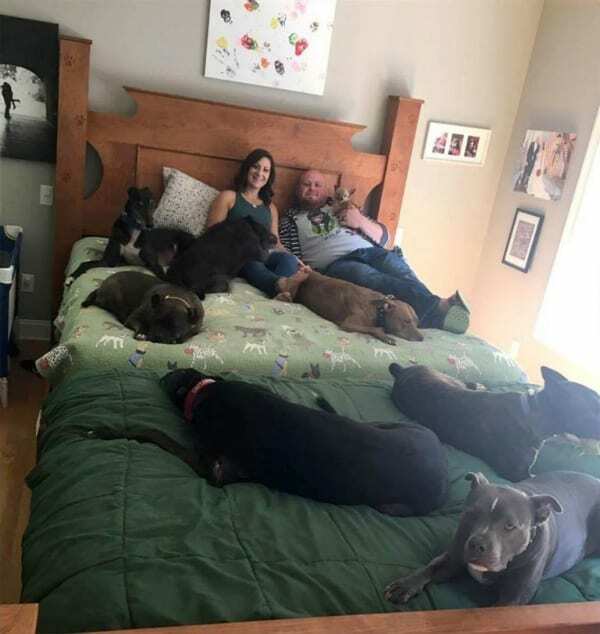 The couple would wake up in the night and have most of the dogs on top of them, so Chris devised a plan to make the sleeping arrangements more comfortable. He merged two beds and got his carpenter to build a custom frame.